The digital revolution has brought us new gadgets and new things to do with them. The digital revolution also brings the digital economy, with machines capable of doing humans' jobs. Agar explains that developments in artificial intelligence enable computers to take over not just routine tasks but also the kind of "mind work" that previously relied on human intellect, and that this threatens human agency. 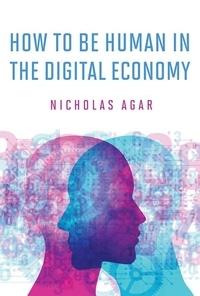 The solution, Agar argues, is a hybrid social-digital economy. The key value of the digital economy is efficiency. The key value of the social economy is humanness.